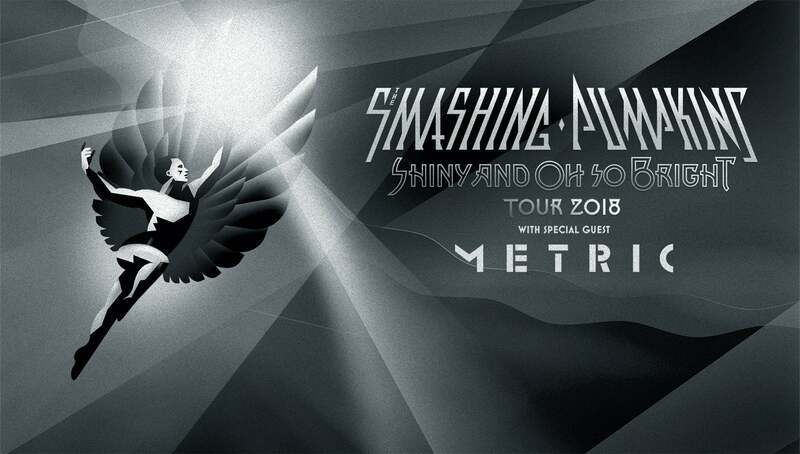 FEBRUARY 15, 2018 - GRAMMY® Award-winning, acclaimed alternative rock pioneers The Smashing Pumpkins today announced the Shiny And Oh So Bright Tour, their first tour in nearly 20 years to feature founding members Billy Corgan, Jimmy Chamberlin, and James Iha. Produced by Live Nation, the 36-city tour will kick off in Glendale, AZ on July 12, 2018 and visit North American arenas throughout the summer. Tickets for the Shiny And Oh So Bright Tour will go on sale to the general public starting next Friday, February 23 at 10:00am local time and be available at www.smashingpumpkins.com, LiveNation.com, and via the Live Nation App.